Koenig & Bauer executive board member Christoph Müller: "We expect sustainable future growth in the industrial print markets. And that applies in particular to digital decor and packaging printing, two important segments for Koenig & Bauer. With web widths up to 225 cm, the RotaJet is an optimum means of production in both fields." 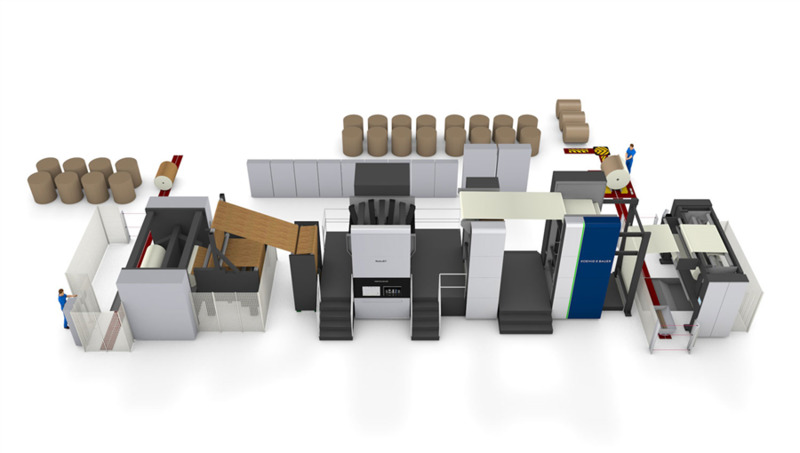 Alongside the decor press for Interprint, for example, Koenig & Bauer was already able to announce the sale of a RotaJet 168 to TetraPak in January. And as recently reported, the first CorruJet has now entered the commissioning phase at Hans Kolb Wellpappe.